A little thought about wedding dresses - Cherry Colors - Cosmetics Heaven! Today I want to talk about a different topic, a topic not everyone is the most interested in, but it is also a topic that every little girl (or boy) dreamed about at least once. We all know that since we are little, we dream of having a big wedding with a beautiful wedding grown. A dress so beautiful all our friends would be envious and everyone would lose their breath to its beauty. I remember dreaming about having this huge puffy dress (thanks to Disney princesses! ), that would have crystals all over the grown. 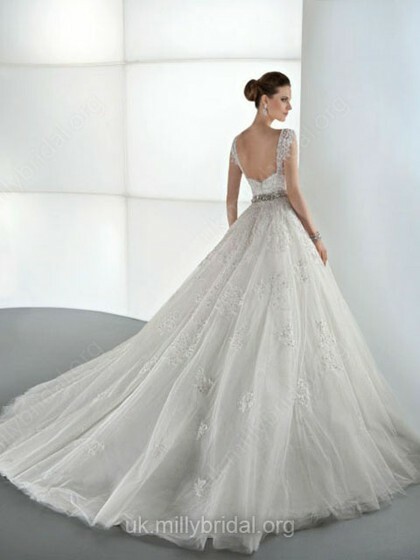 Not unlike a dress I found at Millybridal, whom happen to have so many dresses to choose from. I really like how they are all unique and beautiful in their own way. And no longer you have to make a huge dent in your wallet for a wedding dress. No, you can get them cheaper than ever (and still as good as before) for the same wow factor. I am (still) not married, but in the years before, I dreamed about my wedding day. Mostly about the location of the wedding (probably near some woods, on a cliff next, which is close to a beach, haha) and the dress. My taste for wedding dresses changed with years. I went from this huge wedding dress (all in white) to a more Greek Goddess look, which I think was a thing back in 2010? Now if I had to choose, I'd definitely go with something appropriate for my body shape (so something that is tight fitting wouldn't do, I'd like to move! 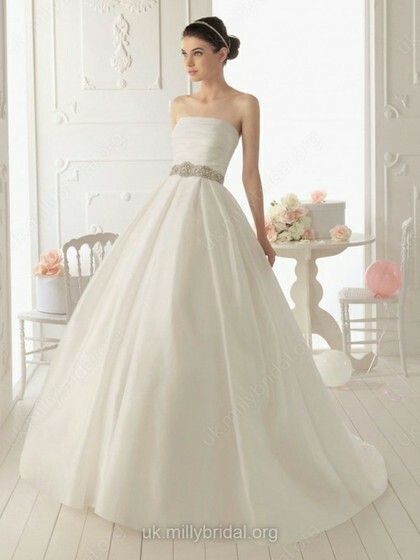 ), similar to the dress I dreamed about as a girl. But more simple, more classy. 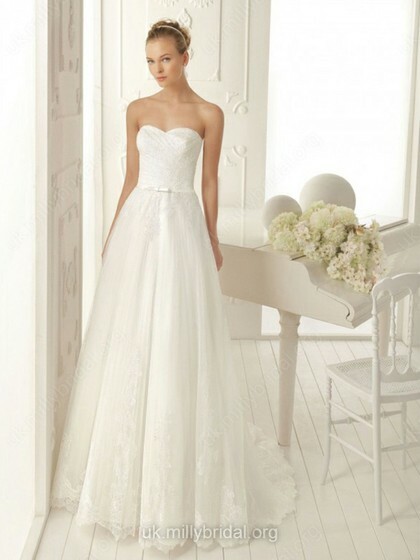 I had a really difficult time choosing just a couple of pictures from the Wedding Dresses UK site. There are many to choose from and the price varies, too. The cheapest is for £68 to the whopping £456, for a princess like grown. When my wedding day comes, who knows what I'll wear. It may be a nice and huge dress (that I'd probably later re-purpose into something more event appropriate, for parties and such) or a simple and minimalistic dress. We'll see how the trends in the wedding industry go and how they'll affect my choices of wedding dress, when or if the day comes :). Ladies, which are your favorite dresses when it comes to wedding clothes? Let me know in the comments.